In Hemingway’s The Sun Also Rises, Robert Cohn has it both ways: he is chivalrous and decent, but he still gets to have an affair with the beautiful heroine. 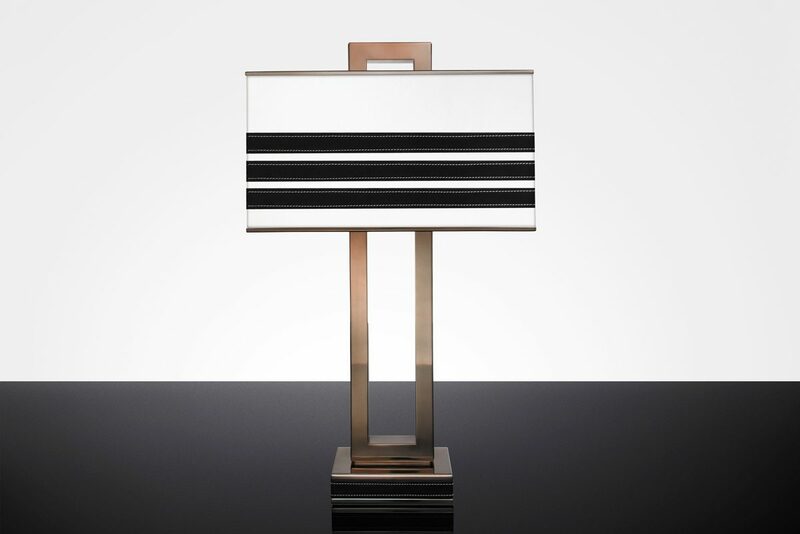 This table lamp has the wide profile of a Romero floor lamp, with the same strong leather banding and polished metal trim -but still gets ii all done on the table. Nice one, Cohn.